Happy Holidays from the RSI team! What a great year this has been! 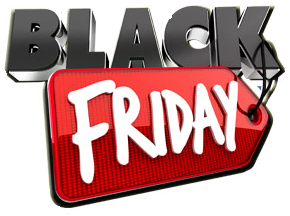 We are excited to kick off the holiday season with another giant Black Friday / Cyber Monday sale! With the success of last year's sale , we would like to continue to make sure everyone is aware of a few policies and procedures. When you make your purchases online, although your card will be authorized, you will not be charged immediately. As orders are processed, we will contact you directly about any product that will not ship within 7 days. At that time you can choose to wait or we will void the authorization. Please expect products that require custom finish, assembly, or changes, will take longer than a week. We will be in contact with you to confirm the ETA and finalize your order. As always, we offer a price match guarantee on any product in our sale or any COMPETITORS SALE. Even if you order early from us and see their price later, you can still contact us for a refund of the difference. RSI Black Friday / Cyber Monday Sale items are available only for orders received from 11:30AM, November 24, 2017 until to 12:00PM, November 28, 2017 Central Time. Only orders with pending questions can be processed after conclusion of the sale. We do have special international shipping rates for this sale. We will be offering ALL products at SUPER LOW Prices! If you are looking for an item that is not included in our sale, please simply ask. We are more than happy to create a special deal just for you. Although we do stock a tremendous amount of product, some items may not be in stock in our Texas warehouse or they may be sold out when your order is placed. In the event that an item is not in stock, we will drop ship the item from the manufacturer as quickly as possible. In the event there will be an extended delay on an item, again we will contact you to discuss options! Make sure to check back every day as we will be adding new products during the sale! Also call us about Year End installation specials including Gen 5 Twin Turbo Systems! Happy Holidays from all of us at RSI!